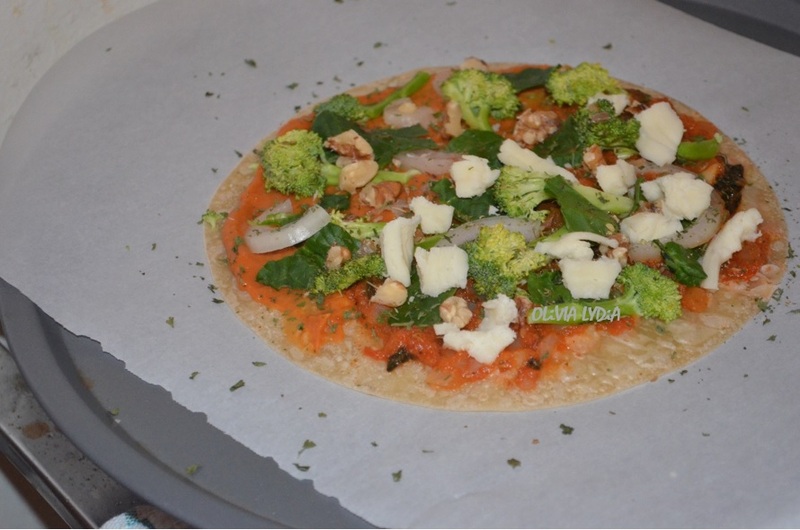 Easy Skinny Pizza in 15 minutes! (GF) – Olive For Greens. I love pizza in general. 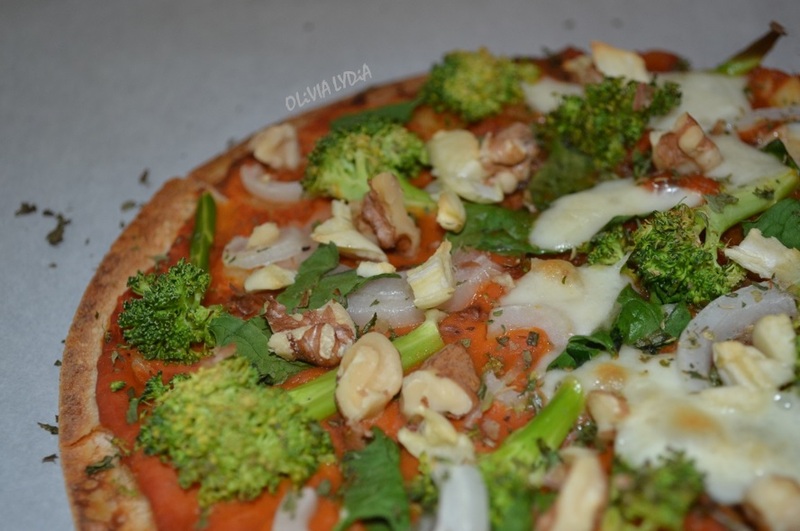 However, having pizza from a pizzeria is loaded with carb and gluten. 2 things I try to avoid in my daily “diet”. Don’t get me wrong I love carbs, maybe secretly we all do! But avoiding the bad ones are necessary to maintain a healthy daily diet. 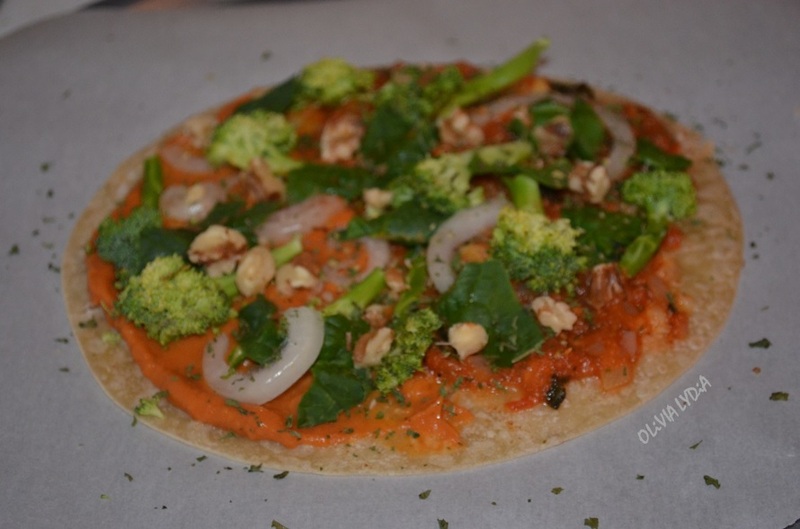 This Skinny Pizza will taste just like thin crust pizza. 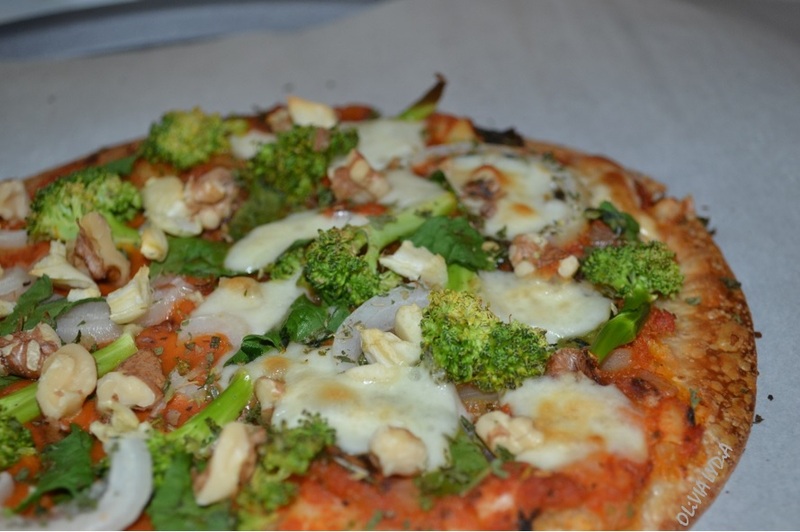 Hence the name “Skinny Pizza”- its more than just the thin “crust”. It also aids a thinner skinnier line! 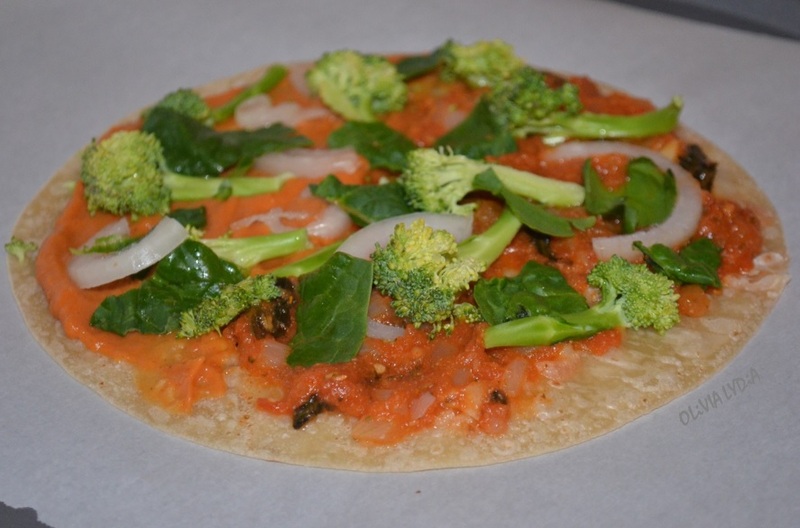 Since this pizza is baked on a tortilla wrap, it will bake in less than 15 minutes! 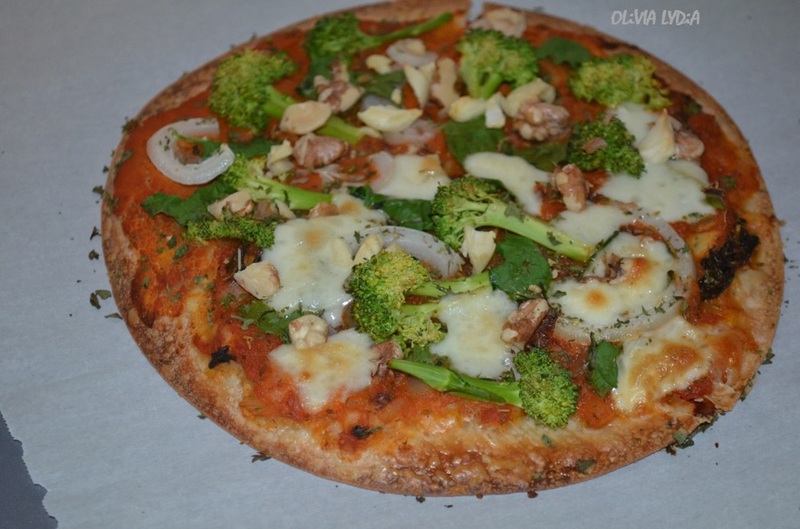 A few weeks ago I posted a pizza flavored salad dressing that’s called Pizza-Time. It can double as a sauce and I promise you will love it! 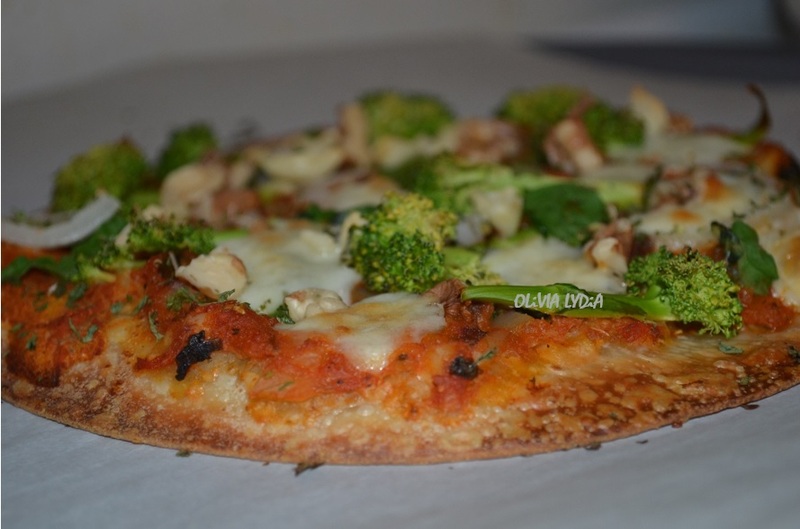 I enjoy pizza recipe for lunch or dinner beside a salad or soup. Note: One sauce (or your favorite marinara) can be used rather than half & half, as directed above. I was feeling adventurous this day! Preheat the oven to 350 degree Fahrenheit. 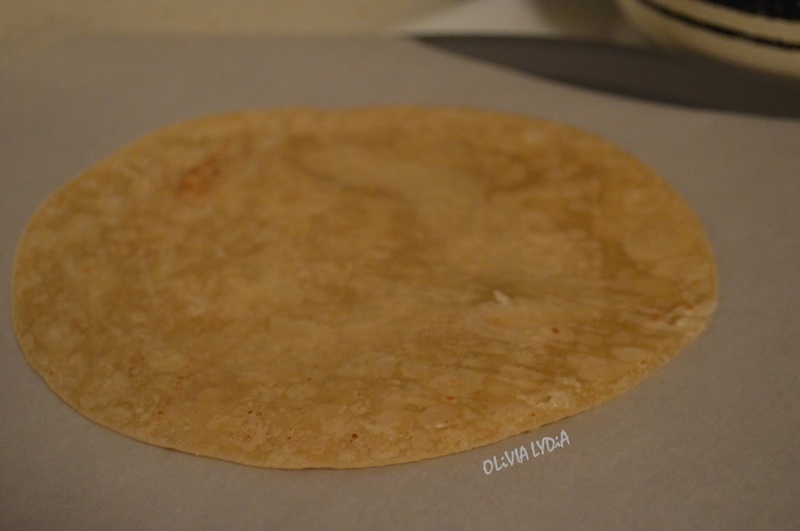 Line a pizza pan with parchment paper and place the tortilla on it. 2. 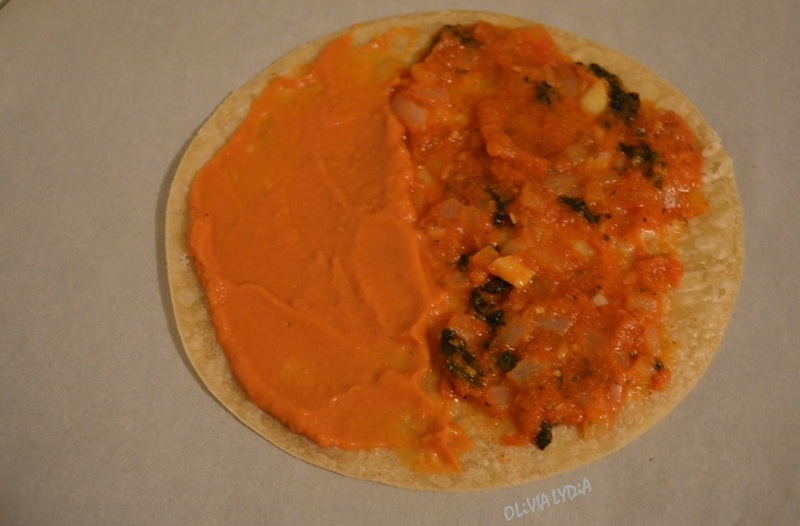 Spread the pizza sauce on 1 side of the tortilla and the pizza-time dressing on the other side. 3. Now layer the onion, spinach and broccoli. 4. Add the garlic and walnuts. 6. Bake for 12 minutes then remove.